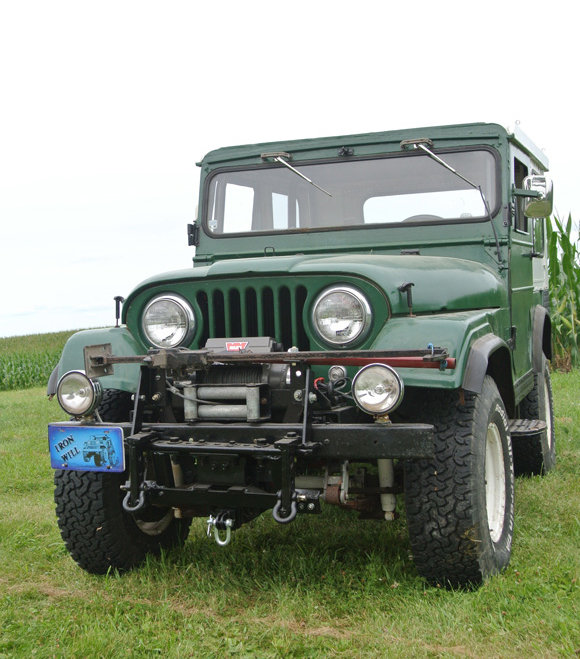 This is my 1959 Willys CJ-5 that I have owned since about 1988. I bought it from a neighbor while living in Arizona. At that time it had a broken spring, no top, only springs for seats, and bad tires. But, it had a factory heater, it ran, and I thought it was beautiful. It had the standard 134 F-head engine and three-speed T90 transmission. I named it “Old Iron”. Over the years, I have worked a continuous refurbishment program to keep my “baby” running and useful. The engine has been completely professionally rebuilt. The 3-speed T90 was replaced with a 4-speed T98 (yes T98) to get a much lower creeper gear. After all, with very low horsepower, low gears are a necessity – low range, low gear ratio is now 94:1 with the 5:38 axles. 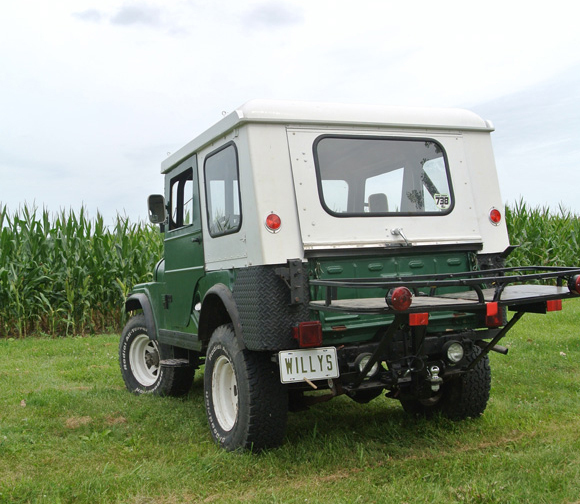 It has an Atlas overdrive giving it a total of 16 speeds forward and 4 in reverse, Moser axles and an ARB air locker in the rear, a Warn self-recovery winch, 11 inch brakes and most recently a dual master brake cylinder. It’s so much easier to check the brake fluid now that the reservoirs are visible under the hood. The hard-top and doors were found in a Minnesota scrap yard. 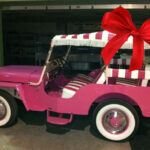 They weren’t for a 1959 CJ5, so some creative adapting was needed. 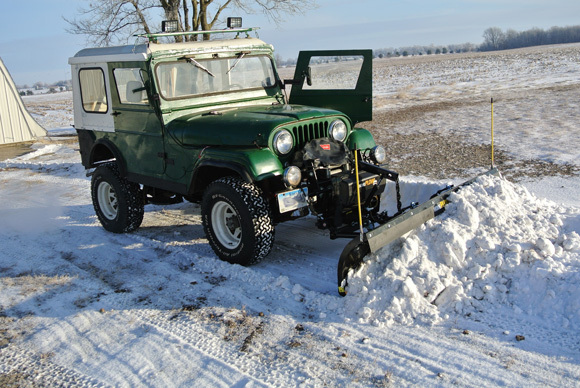 I purchased a Meyers Home Plow and adapted it to the CJ so it still gets work assignments around the yard during the winter. 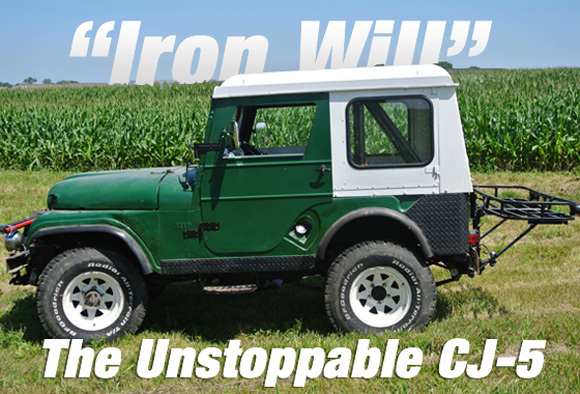 My son was so impressed with it’s seemingly unstoppable off-road capabilities, that he suggested a new name “Iron Will” and it fit so well that it is now it’s “official” name. 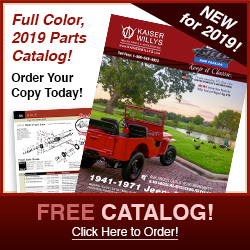 Many thanks to Kaiser Willys as the source of many of the parts needed to keep this fine old technology viable. Great Jeep. No more words. Nice looking Jeep. I bought one that had been sitting in my neighbor’s driveway. It has the original drive train in it which also includes a T-98, like yours, a Dana 44 locker in the rear and a Dana 25 up front. The xfer case is a D-18. However, I do have the 4.27 gears, which makes for a taller top end. I have replaced the old Solex with a 2-bbl Weber Downdraft. I did the calc’s and figured the engine needs a 155-cfm unit. 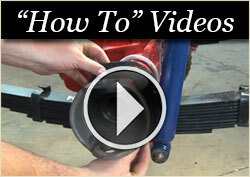 Weber makes a carb for this engine, with adapter, $280 out the door. What an improvement. 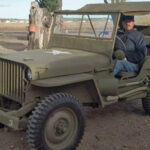 I am running Mickey Thompson “Baja Claws” on all four corners. The main question I have for you is, is the overdrive worth it, or are you limited by the lack of hp from the f-134 at the top end? Great Jeep. I have a 63 cj5 also with 4 134 f head, all factory original for the most part. You given me some good ideas. 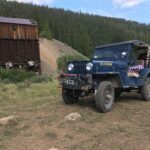 Love your jeep,do you have any “before” pictures to share? 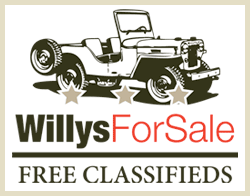 I live in South Africa where Willys vehicles had long been popular -since the 1920’s. 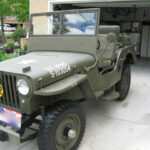 The first jeeps seen here were a small number of MBs after the War, But from 1946 CJ2As were available, and there are still numbers being used and rebuilt. (The South African Army used numbers of CJ2As, one of the few armies to do so. Israel and Swiss Airforce included) I have a 1947 which I bought in 1969 and still use and which has been part of great adventures in South Africa, and Botswana, in deserts, bush, rock and beaches. She has a flanged Dana 44 rear, Dana 27 front, T90 with 3.34 first (I have contemplated a T98 or an SM420, but as she is she is wonderful) and a new F Head from military stores disposals and runs on a nine and a quarter clutch and 30×9.50×15 s on somewhat widened rims. 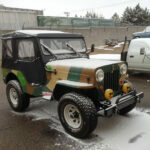 I am rebuilding a 1949 CJ3A, also using a new military surplus F Head, and Have an ex South African Army right hand drive CJ3B and CJ6 (This has rear bodywork unique to the South African Army) Land Rovers are very popular, with many early 1950’s vehicles being used. 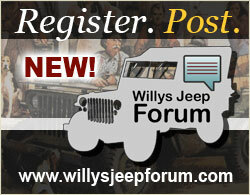 However, as is said in Afrikaans, Jeep is baas bo baas, Jeep is die een. (Jeep is the boss of bosses, Jeep is the one) See Old Trucks Babanango on Facebook for some doings in the Southern Latitudes of Africa.